BUFFALO, N.Y. -- A former Erie County, New York Democratic party chair pleaded guilty today to conspiring to illegally cause a $25,000 campaign donation from a foreign source to a New York state official running for reelection. G. Steven Pigeon, 58, of Buffalo, NY, pleaded guilty before U.S. District Judge Richard J. Arcara to an information charging him with conspiracy to cause a foreign donation in a state election in violation of federal law. 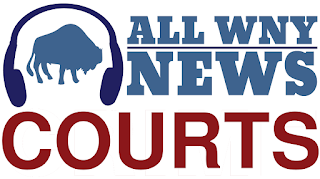 Sentencing was set for January 25, 2019, at 1:00 p.m.
As part of his plea, Pigeon admitted that while working as a political consultant and lobbyist in Buffalo, he represented a foreign client, Company A. At the time, the CEO of Company A was Person A, a Canadian citizen. In early 2014, despite knowing that it was illegal to make a foreign donation to a state political campaign, Pigeon solicited Person A to make a $25,000 donation to the reelection campaign of a New York state elected official, Public Official A. The campaign rejected the donation from Person A because Person A was not a citizen or permanent legal resident of the United States. Pigeon and Person A then agreed to cause the donation from Person A to be made through Person B, a permanent legal resident of the United States and an employee of Company A. On or about February 24, 2014, as directed by Person A, Person B made a $25,000 donation to Public Official A’s campaign. Pigeon and Person A knew that Person A would pay for, or reimburse, the donation. As a result of the $25,000 donation, Pigeon and Person A were granted entry to a fundraising event for Public Official A in New York City on February 26, 2014.